MSSL and Macy’s 2nd Annual Fashion Show! The Music Students’ Service League of Contra Costa and Macy’s of Walnut Creek cordially invite you to MSSL and Macy’s 2nd annual joint fashion show on Saturday, May 4 at 10:30 AM. Macy’s has pledged to donate $5,000 to the Katie Nues Foundation and we need your support to attend our event. Audience members, as well as those who they bring along, will be given community service hours for attending this event! Macy’s will provide a continental breakfast at the venue, and there will be a prize given to a lucky attendee chosen at random. This event will also be hosted along with Macy’s “Family and Friends Week.” Macy’s Family and Friends Week is a week where all Macy’s purchases are 30% off, so this is an excellent time to save money and go shopping! 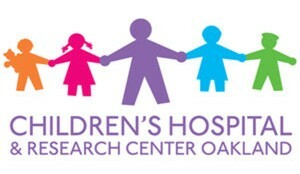 In addition, when purchasing at Macy’s Walnut Creek from 5/1 – 5/15, the cashier will ask you if you would like to round up the total amount of your purchase and donate to the Katie Nues Foundation. Please consider doing so and supporting MSSL in our fundraiser for the Katie Nues Foundation! Please join us and bring any friends and family members! Let us know how many you plan on bringing with you. Please RSVP by no later than April 30 by filling out this form: https://forms.gle/GjpJpUt7mmcru3ww6 . If you have any questions, please feel free to contact michellechen@msslmusic.org . Thank you and we hope to see you soon! If you are not a member but want to perform, email MichelleChen@msslmusic.org and fill out the form below. For non-members the performance fee is $5 made out to MSSL. *Members will receive priority for performances; non-members will not be guaranteed a spot. PLEASE NOTE: The deadline for performance signups is 5:00 PM the DAY BEFORE THE PERFORMANCE. Any form submissions beyond this deadline MAY NOT BE GUARANTEED A SPOT on the performance program. Thank you! If you have any further questions, please feel free to email MichelleChen@msslmusic.org.